AeroNautique has over 150 years of specific industry experience, collectively. Mr. Barker has spent his entire career in the aviation industry and has been engaged primarily in the corporate aircraft sector since 1990. These endeavors included primary responsibility for several start up programs including the Bombardier Challenger 300 and the Dassault Falcon Jet 7X programs while serving as programs director for DeCrane Aircraft Holdings. He has held positions with Dassault Falcon Jet, Sky Tech, and AIR. His broad background in aircraft certification, manufacturing technology, completions, and technical management for a wide range of aerospace applications provides AeroNautique with a solid understanding of the MRO and OEM aviation industry. Following graduation from the University of Texas, Arlington with a BS degree in Aerospace Engineering, Mr. Barker established AeroNautique Aircraft Design & Analysis. Mr. Danford has over 15 years of aircraft design & certification experience in the corporate aviation industry. He has experience with a variety of aircraft interiors, structures, avionics systems, and FAA certification efforts. Mr. Danford has extensive design/CAD experience as well as extensive structural analysis experience. Mr. Danford started working for AeroNautique as a drafting intern while still in college. Following graduation from The University of Texas at Arlington with a BS degree in Mechanical Engineering, Mr. Danford began working full time at AeroNautique. 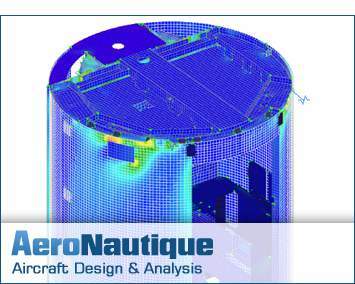 He has led numerous STC and refurbishment projects of all sizes for AeroNautique. Mr. Shires graduated from the University of Oklahoma in 1999 with a BS in Mechanical Engineering with an emphasis in Aerospace. He began his professional career with International Isotopes as an Accelerator Engineer, but after a year moved to Aerospace in an entry level Stress/Design position with AeroNautique. Mr. Shires has extensive experience in Rigid Body analytical methodologies, 3D Analysis model creation using Femap/Nastran, pull testing, technical report writing, as well as experience in design/CAD using SolidWorks and AutoCAD. Mr. Shires has a large variety of experience in managing stress analysis programs in the corporate aviation industry - from small aircraft projects to the structural STC certification aspects of BBJ's, 747's, 787's, and A340 completions. In his spare time his information technology skills are used to handle all of the firm's I.T. needs. Mr. Pavelek has over 13 years of aircraft design, project management, and certification experience. He has been AeroNautique's Project Manager for zero-passenger interior STC projects on several custom Boeing 737 completions. On these and other projects he has designed custom components, created and checked manufacturing drawings, performed stress analysis, planned and performed structural pull testing, written process specifications, generated flammability testing plans, and designed plumbing systems for interior installations. He was Engineering Manager for The Infinity Partners (a subsidiary of Decrane Aircraft Holdings) from 2000-2003, leading a department of approximately 12 direct employees and 8 contractors in design and certification of cabinetry for Global Express and Challenger 604 VIP completions. 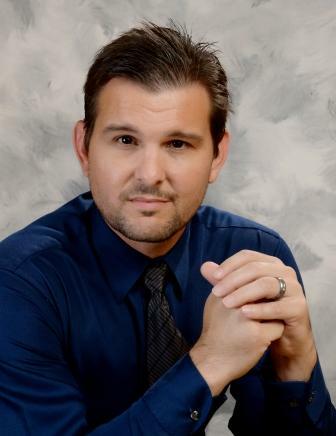 Mr. Pavelek graduated from the University of North Texas in 1998 with a Bachelor of Science in Mechanical Engineering Technology. He was named Most Outstanding Alumnus for Mechanical Engineering Technology in the spring of 2003. In addition to his aircraft industry experience he has over 3 years experience in automation design for factory and nuclear manufacturing. Mr. Steinbiser has over 30 years of experience in aircraft maintenance, completions, modifications/alterations, design and certification. Previous positions have included VP Engineering/Quality, Certification Manager, QA Manager and Chief Inspector.. He currently is a Designated Airworthiness Representative (DAR). Mr. Steinbiser has an extensive background on numerous fixed wing and rotorcraft FAA approval programs, FAA forms 337, field approvals and STC projects. Michael Lieblich has over 25 years of experience in design and approval of major aircraft structural alterations and repairs. He has been a designated engineering representative (DER-Structures) for the FAA for over 20 years as well. He is authorized issue design approvals for Part 23 and Part 25 airplanes. Mr. Wanamaker graduated from the University of Texas, Arlington with a BS degree in Aerospace Engineering. He began his professional career designing automation equipment and quickly moved to the position of Project Manager. Mr. Wanamaker began working in the aviation industry in 1998. He has over 17 years’ experience in Design, Stress Analysis, Structural Testing and Project Management. Mr. Wanamaker joined AeroNautique in 2008 and began his current position as Structural Testing Facility Manager in 2010.